ALMOST a decade old since its founding in 2010, Song for the Mute has become a worldwide sensation. Its journey began with its first flagship store in Australia in 2014 to Harrolds, one of the most established fashion institutions in Australia; and more recently Dover Street Market in Japan, London, and Singapore. The design modus operandi of the avant-garde streetwear label has always centred around the exploration of fabrics, tailoring, and effortless dressing. 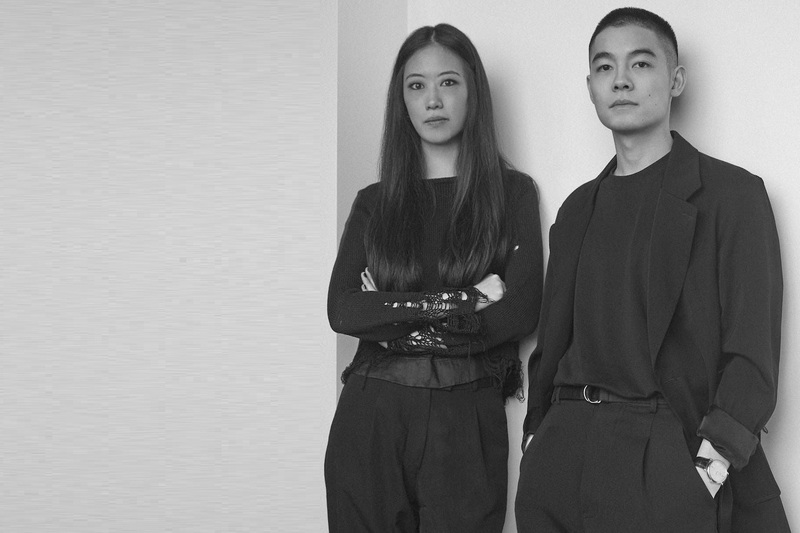 We caught up with the design duo, graphic artist Melvin Tanaya and Accademia Italiana Di Moda-trained designer Lyna Ty, founders of the brand, to find out about growing the label, their partnership, and everything in between. August Man: The brand has a heavy emphasis on fabric. Does fabric come before design? Song for the Mute (SFTM): Yes, fabric is the root of everything that we do. We consider each season an expressive new chapter, stylistically varied from the last – each depending on the fabrics we develop within that season. At the heart of each one is a narrative told with exceptional fabrics and experimental process. Working with the most trusted Japanese and Italian mills to craft design with character. Who makes an ideal SFTM man/ambassador? He is an evolving character, not someone specific. We see each season as a chapter, never one the same – a long-form story. We see all customers as equally important to the brand, each one an ambassador. We have always collaborated and worked with people that have a genuine appreciation for the brand. How does the partnership work between both of you? We have a strong friendship and our way of working together is very organic, built on trust and respect. What are your thoughts on brand collaborations? In the past, we have collaborated with brands such as Sydney streetwear label Nothing, Japanese footwear brand Suicoke, London eyewear brand Blyszak, and a Sydney-based Japanese restaurant, Toko. For the upcoming 19.2 Hunter collection, we’re really excited to have worked together with lifestyle brand New Era. All of these partnerships came about naturally and felt right at that time and place. What are some of the toughest things about growing a brand? It’s easy to be distracted with so much information and many different opinions. It’s most important to stay consistent and be true to yourself and the brand vision. Every market is very complex – we don’t adopt a specific ‘strategy’ for a specific group. We have to be more focused on our story, creating a chapter that best represents us, and the quality of our garments – the genuine execution of our ideas. We very much agree with this movement and feel it’s so important to a healthy and inclusive environment. The extended Song for the Mute team is made up of (members from) eight different cultural backgrounds alone. How important are social media platforms in this industry? Social media is an exciting way to present the brand vision and (is) something that can’t be ignored. It pushes us to think in new and interesting ways – how followers can experience the brand in a digital space while still carrying the essence of each chapter. Physical retail outlet vs online shopping? First and most importantly, our garments are so driven by fabric, cut and shape, which makes the physical experience such an important part to the process. While the retail environment is an integral part of the brand experience, it’s similar to our recent installation at Dover Street Market in Singapore – it’s about creating a space that carries a feeling and engages your audience. As for online, we are soon launching our new online store and love offering (the presence) to those who don’t live close to a retail space or stockist. We have some exciting collaborations to release very soon, along with installations in Selfridges, Barneys New York, and Lane Crawford.